There is no better way to kick off a new year than going on a trip. Especially if it's a 6 day trip to Scotland with your best friends. All I can say is that I hope 2018. will be as amazing as its beginning and that there will be many more trips with these two. The main purpose of this trip was to visit Glasgow where my friend Nikola studies, and we were also accompanied by our friend Lada. We started from Zagreb on 3. January, spent a few hours in Venice, took a plane to Edinburgh and after a day there took a bus to Glasgow, where we stayed until 8. January. Basically, 4 cities in 2 days, not bad huh? As all three of us are students, we bought the cheapest plane tickets we could find - from Venice to Edinburgh. Most people would think "oh, but it's a long drive from Zagreb to Venice" but not us, the only thing on our minds was "omg we get to see Venice as well!" My first visit to Venice was in February of last year, and it took me less than an hour to fall in love with it, so you can only imagine how happy I was to see this magnificent city again & enjoy some Italian pasta. We unfortunately didn't get a chance to see anything new, but a 5 hour stroll around Venice is good enough for me. After a long day of travelling, around 11pm we finally arrived to Edinburgh & immediately took a cab to our hostel. We managed to find a room in the Castle Rock Hostel just big enough for the 3 of us, and most importantly, in the centre. And what I mean by that is that we saw the Edinburgh Castle right from our bedroom window (#goals). Even though we were exhausted we somehow found the energy to take a walk around the block at 1am, but still left most of it for the following day. As we had about 7 hours to explore Edinburgh, we only got to see the most important bits. 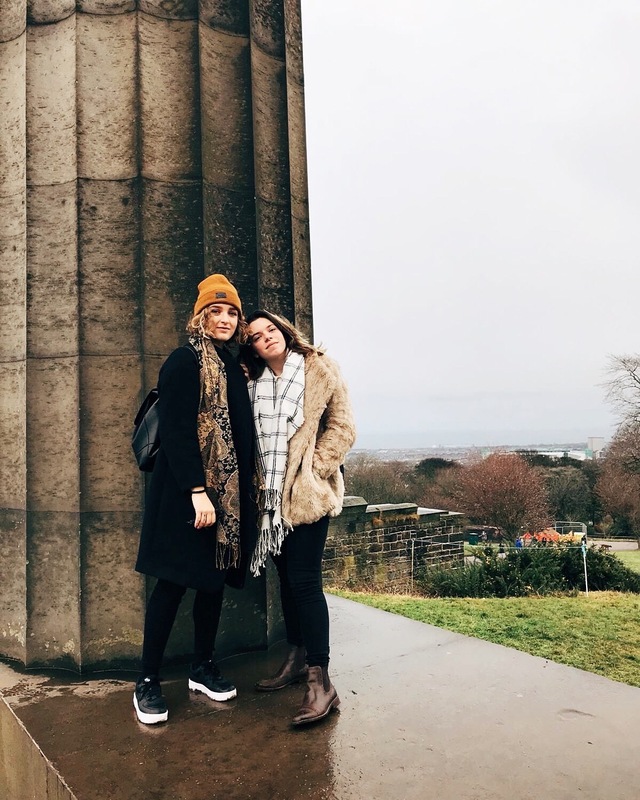 We hit it off with the Edinburgh Castle (but only on the outside) and then went down to the Scottish National Gallery, where we enjoyed some amazing works of art. I mean, they have Van Gogh, how could I not go in there? After that we took a stroll around their Christmas Market, and then.. Oh, boy. 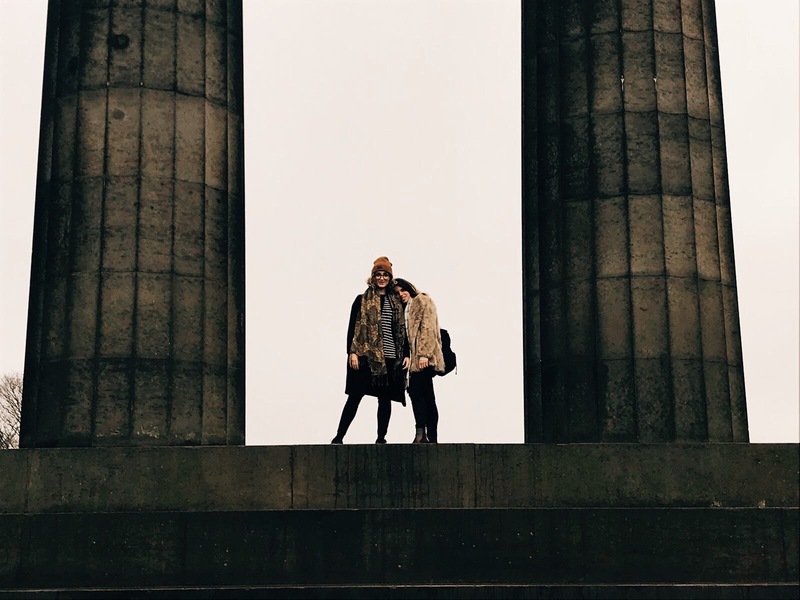 We climbed the Calton Hill. It may not be as high as its surrounding hills, but for an unathletic person like me it definitely was a challenge, and also, a challenge worth the view of the city and the Nelson Monument. Rest of the day we spent walking up and down the Royal Mile, and of course, stopped for lunch where Lada and I tried haggis for the first time, and tbh, it was pretty good! This afternoon was kind of chill, we did a bit of shopping, walked into some cool stores & of course, had tea in the afternoon at a cute cafe which we stumbled upon. Edinburgh is a beautiful city and offers so many cultural things to see, as well as many cute shops & cafes! My only wish is that we had at least a day more there, but hey, now I know that I definitely want to come back and explore it even better. Unlike any other trip that I've taken before, for this one I did 0 preparation of any kind. I had no idea what I wanted to see, eat or do, because I've relied on Nikola to plan everything so I could have the truest impression possible. And wow, I loved Glasgow. To me, it had a feel of a Scottish New York with it's similar architecture, but I loved how lovely the people are, and of course, how hard their accent is to understand. One of the first things we saw in Glasgow (not counting the pub) was the University of Glasgow, dating back to the 15th century. The building looks breathtaking, as well as its interior design, but what I liked most is that they have a museum inside of it and benches in the courtyard which are dedicated to professors and students who attended this Uni! That day, we went to the local pub to try the Scottish breakfast, and I doubt that no one will be surprised to hear that none of us managed to eat everything. If you're looking for a lovely and relaxing walk in Glasgow, you have to go to the Botanical gardens! Not only are the exhibited plants and glasshouses amazing, but so is the walk around the park and next to the Kelvin river, especially if it ends with a pint of beer in a cute pub. If you pay attention, you'll be able to see (and maybe even meet) some cute squirrels who live there! Being a bit of an "art hoe" is always fun when you're in another country, and this trip to Scotland truly satisfied my needs. We spent one whole morning in the Kelvingrove Art Gallery and Museum, where we got to see everything from modern art, ship models to Monet and Dali. In my humble opinion, a morning well spent. 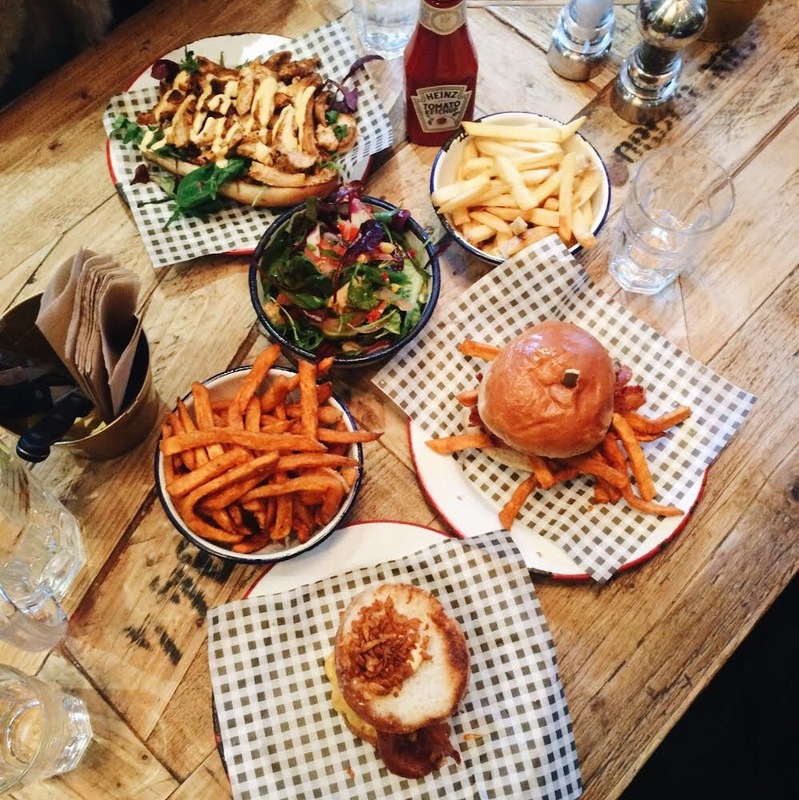 The rest of our time in Glasgow was mostly spent in some really good food endulging, such as at Bread Meats Bread (if you ever find yourself in Glasgow, go there! the best burger I've had in my whole life), and tea drinking. The fanciest tea we had was in the Willow Tearooms, designed by Mackintosh, and a bit fancy. Sometimes, you have to treat yourself. Something we also got to climb was the Lighthouse, a building designed by Mackintosh, situated in the city centre right on Buchanan street, most popular shopping street in Glasgow. The view from the top floor is pretty nice as you get to see the whole centre, and you can also take some cool photos there. Glasgow has everything a city in my opinion should have - good restaurants, tasty tea, kind people and pretty buildings filled with cute shops! I can't wait to come here again, hopefully during a warmer season though, makes walking around the whole day much more bearable.